Rick Bennett is an independent historian. 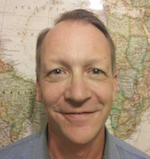 He teaches math and statistics at Utah Valley University and Salt Lake Community College, and also freelances as a research biostatistician in the fields of Dermatology and Traumatic Brian Injuries, as well as network television/cable T.V. industries. He holds a Master of Statistics Degree from the University of Utah.